Fast computers and fast cars. . . it seems like a match made in heaven. 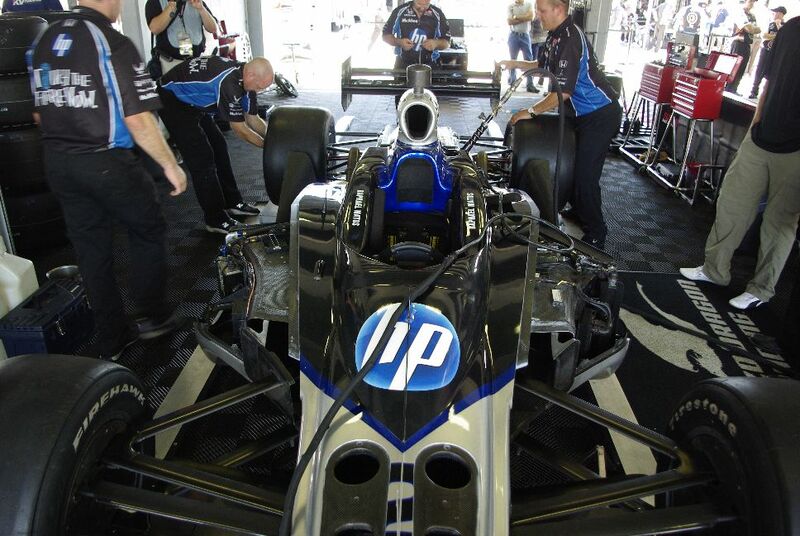 HP sponsors the de Ferran Luczo Dragon Indy car racing team. The team is using technology to get an edge on the competition by gathering real time data and feedback from the car while its on the track. A team of engineers and the pit crew stand by watching the data on laptops and monitors and decide how to dial in the car just right. How is this done? Simple. . . the car is wired with over 100 sensors attached to everything from the wheels and linkages, to the shocks, and engine. The team is using HP technology to find the right “zone” for the car. the Year, will be behind the wheel of the HP-powered Luczo Dragon race car. will pilot a second HP Luczo Dragon car for three races. understand the behavior of the car and the effect of changes in performance.